Sammo Hung stars in this baffling low-budget kung fu yarn directed by Mang Hoi. The film opens with the improbably named villain Against-Nature Boy (Ken Lo Wai-kwong), vowing to destroy the palace of heaven after a welcomed absence of 18 years. 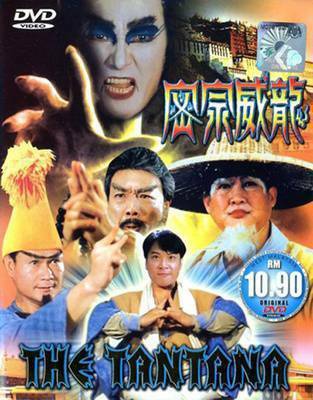 Lama Mud-yuet (Lam Ching-ying) enlists his archenemy Chek-fei (Wu Ma) to help him locate the legendary Sharp-Witted Buddha, the only force that could possibly counter the awesome force of Against-Nature Boy. The Buddha turns out to be Dragon (Chin Kar-lok), Mud-yuet's apprentice. Soon, the trio visit wizened master Gai-lap (Hung) to instruct the lad on how to use his immense powers.